Home › 3 Stage Enhanced Treatment Relives Microscopic Tension In Blood Vessels Under..
3 Stage Enhanced Treatment Relives Microscopic Tension In Blood Vessels Under..
Do you lie about your AGE??? What if you found a product that delivers the results you truly wanted, notthe ones you've had to settle for? I'm going to give you a life-changingunderstanding about skin care products. ~ Arbutin powerful lightening creams combined lto enhance penetration of arbutin to dermal skin layers. It also reduces postinflammatory hyperpigmentation ~ Hazel Extract Proprietary 100% Organic blend to hydrate, quench and restore your skin's natural moisture balance to what it once was..., The Best eye cream you will ever buy.. ~ Research Center in Guelph, Canada, OPCs in grape seed extract contain 20 times the antioxidant power of vitamin E and 50 times the antioxidant power of vitamin C. ~ Propolis Treatment of blemishes, acne and psoriasis. propolis has excellent healing abilities. It is also used for relieving discomfort from the scaling pain of eczema ~ Antioxidant helps protect against sun damage. It improves circulation and aids new skin cell formation. ~ Increases cellular turnover around the delicate eye area with Vitamin, organic herbs & botanicals ~ Stimulates collagen production, re-balances melanin regulation and revives the skin's hydration process, reduces lines and wrinkles ~ Polyphenols Anti-inflammatory, increasing circulation and cell metabolism. skin-firming antioxidants, Increases blood flow to scar tissue which Reducing the appearance of scar tissue You can trust in your decision because our guarantee is this. 100% money back guarantee: We will give you a complete NO QUESTIONS asked refund. 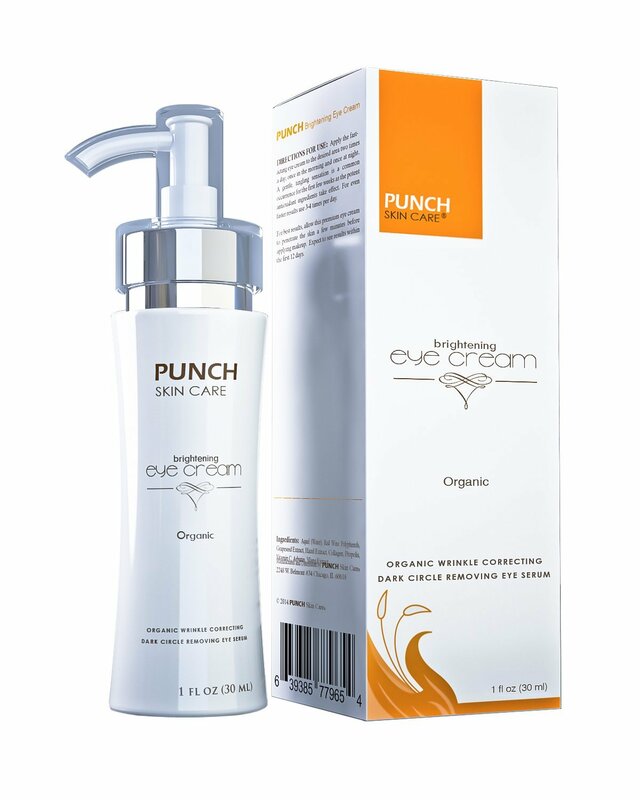 Punch Skin Care Anti Aging gives you confidence, beauty and most of all, envy. It's all included.